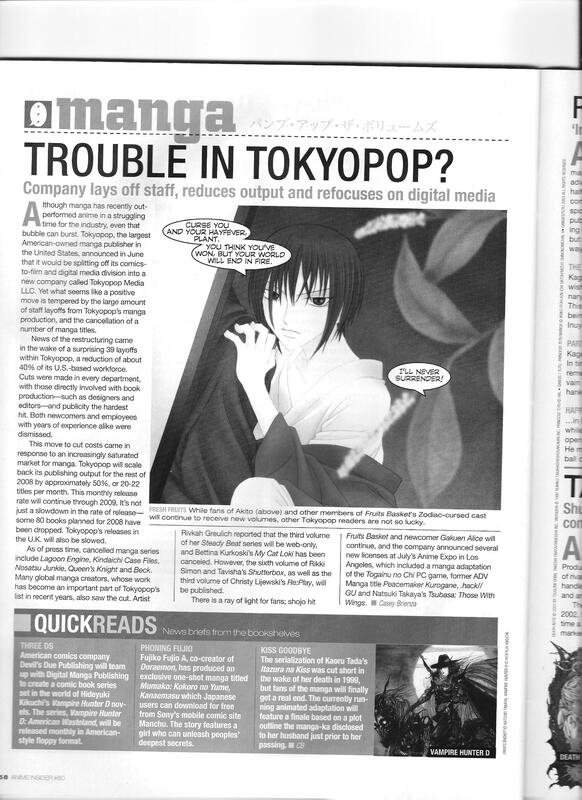 An article on Tokyopop’s severe downsizing that preceded its end as a company. This entry was posted in Old Magazine Articles and tagged Borderline Plagarism for the Freedom of Information, Manga, Tokyopop by torisunanohokori. Bookmark the permalink.